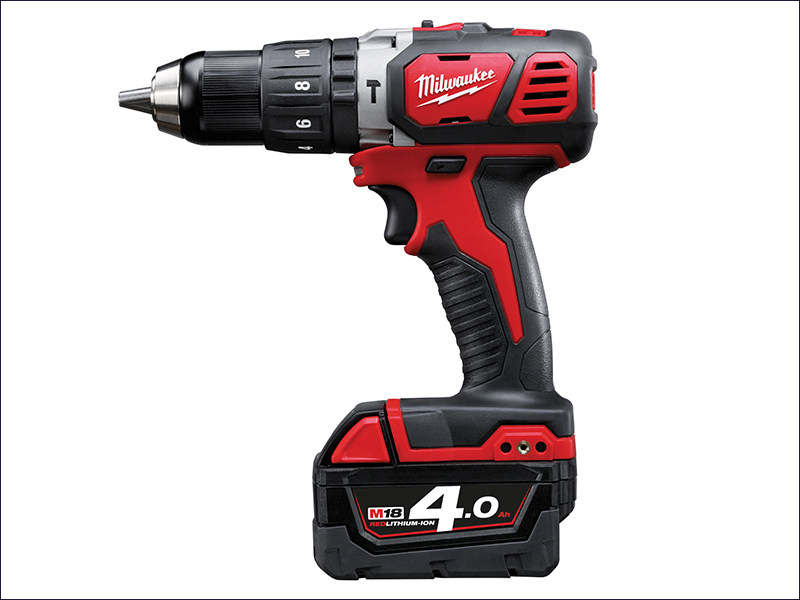 Milwaukee M18 BDP-402C Fuel Percussion Driver is a compact, high performance percussion drill that measures only 196mm in length making it ideal for confined spaces. Has a high performance 4 pole motor that delivers maximum power whilst maintaining the power to weight ratio. Features REDLINK™ overload protection electronics in tool and battery pack delivering best in class system durability. Has a full metal gear box delivering maximum performance and long life, with a 13mm metal chuck for quick bit changes and bit retention. Comes with a Kit box, Charger (80 minutes), and 2 x 18 Volt 4.0Ah REDLITHIUM-ION™ Batteries. Capacity: Wood: 38mm, Steel: 13mm, Masonry: 16mm.